Cosmic Fighter is a side-scrolling shoot 'em up game in which one or two players can compete for a high score. 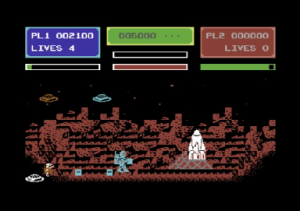 The players start with three spaceships (lives) with which to shoot enemies that appear on the right side of the screen. 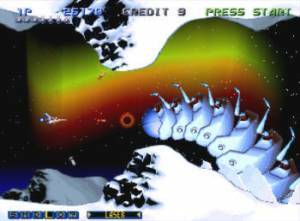 The ships can move freely on the left half of the screen in order to line up their shots or try to avoid incoming enemies. 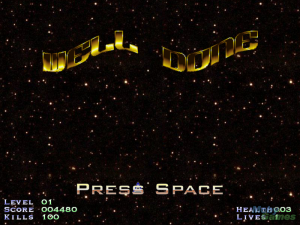 The ship can fire a laser with a single and double blast in alternation. 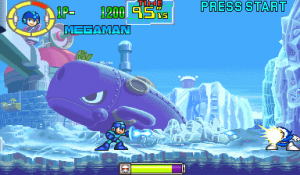 The game has infinite levels with each five stages. Each stage is different from the others. 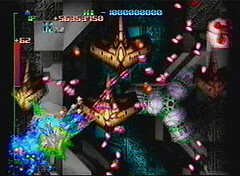 In three of the stages the player must shoot enemies, each with different movement and attack patterns and points earned for destroying them. 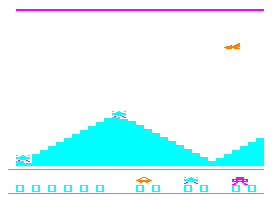 In the other two stages the player must simply avoid indestructible scenery. 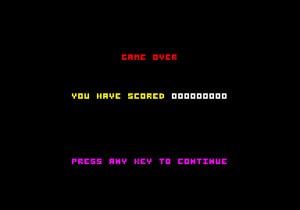 Each level has the same stages, but the difficulty goes up slightly.